A peanut allergy is one of the most common, serious and potentially fatal food allergies. Many schools have banned peanuts from being brought in. The “allergic reaction” is caused by an immune response to the peanut protein. This causes the release of histamine chemical in the body, and can result in symptoms such as itchy skin, rash, runny nose, and nausea to the most serious case – anaphylaxis. Artificial Nuts: Such as peanuts that have been deflavored and reflavored with nut flavoring like pecan or walnut. Baked goods: baking mixes, breads, cakes, pastries with unknown ingredients, particularly carrot cake, pumpkin cake or pie and fruit and nut rolls. If staying at a friend’s house overnight, bring your own “safe” food. Make school lunches at home. Try veggie wraps, meat sandwiches, or fruit and cream cheese sandwiches. Instruct your child to wash his/her hands with soap and water after meals. Consult with a Registered Dietitian to design safe, delicious and nutritious meals and snacks. Carry a laminated list of “foods to avoid” in the backpack and lunchbox. Give a copy to the child’s teacher and school nurse. Use the manufacturer’s toll-free phone number if you have questions about the ingredients contained in your favorite foods. In medium bowl, combine SunButter, maple syrup, flax seed, and cinnamon. Stir until completely blended. Fold in dried berry pieces and oats, stir until fully combined. Roll into 1-inch balls. 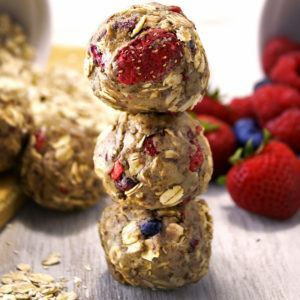 Place balls into an airtight container and store in the fridge or freezer for snacking throughout the week.